It has been seven months since the Patriots and Seahawks provided us with a memorable Super Bowl XLVIII - which included the well-documented yet still inexplicable decision to eschew a simple handoff to Marshawn Lynch with the outcome of the contest dangling in the balance. That provided us with a dramatic conclusion to the 2014-2015 season, but also left us anxiously awaiting the return of all 32 teams to the field. Fortunately, that insatiable desire for another edition of the unparalleled theater that is the NFL will finally be fulfilled this week. You have immersed yourself with months of preparation in the form of mock drafts, cheat sheets, perusal of analysis both online and in magazines, and voraciously consumed various other types of information that has all been designed to assist you during your draft process. Plus, you have survived the excruciating wait for Week 1 kickoffs to finally commence. Now, it is time to finalize your starting lineups, and watch the games unfold. Some of you who participated in drafts early this summer have already been faced with painful alterations to your rosters, as anyone who owned Jordy Nelson or Kelvin Benjamin remains acutely aware. Meanwhile, Arian Foster owners continue to hope that he will return to the field before the conclusion of September. Fortunately, no quarterbacks have been sidelined due to injuries that were sustained during organized team activities, or preseason contests. Although Philip Rivers owners did receive a brief scare on August 29. Regardless of whether you will be employing one of the NFL’s elite signal callers, have decided to rely upon a mid-round selection, or opted to count upon a late-round option, your quarterbacks will finally be under center this week. This column is here to help forecast how they will perform in their openers, and will remain steadfast in helping you make your lineup decisions through the fantasy postseason. Owners who are planning to stream their quarterback selections will not be forgotten, nor will those of you who play in 2QB or Superflex leagues. With that groundwork established, here are the rankings for Week 1, followed by the best and worst quarterback matchups. Savor every moment of opening day, and good luck to everyone. Here's my week 1 fantasy football quarterback rankings. Rodgers' stellar 11-3 career record versus Green Bay's storied rival has been built sizably through his exceptional 31 TD/8 INT ratio. 10 of those touchdowns were generated during their two matchups in 2014, including six in the first half alone when they met in Week 10. 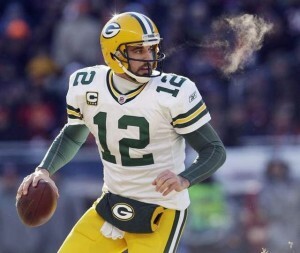 That lofty degree of success should continue this week, as Rodgers begins his Nelson-less trek through the schedule. Romo generated 34 touchdowns in 2014, which was the NFL's fourth highest total. That was his best output since 2007, and he accomplished it despite attempting less passes than 22 other quarterbacks last season. Seven of those were accrued against the Giants, including four when they met in Week 12. He should produce multiple scores again this week versus what remains a highly exploitable New York defense. The 12-year veteran will open against a diminished Patriot secondary that has lost Darrelle Revis, Brandon Browner, and Kyle Arrington. That should jump start Roethlisberger's quest to replicate last year's career best season, which included a new high in yardage (4,952), 32 touchdowns, and his best completion percentage ever (67%). Foremost among Luck's impressive achievements last season, were his eight games with at least three touchdowns in Indy's first 13 games. He also generated over 300 yards 10 times during that span. That level of production will be attained often this season, but not this week. Achieving sustained success against Buffalo's formidable defense will be far more challenging than most of Luck’s remaining matchups. The reemergence of Brady into New England’s lineup is both a gargantuan development for the Patriots, and anyone who has selected him for their rosters. He instantly returns to face a vulnerable opponent, as Pittsburgh ranked a lowly 27th against the pass in 2014, and appears destined to struggle again this season. 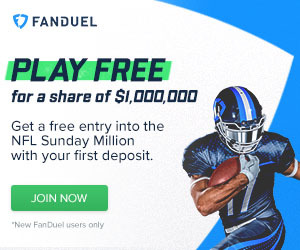 Owners have already received a substantial boost to their chances of winning in Week 1 by having Brady available, and can also reap the benefits of his extremely desirable matchup. This will be the first look at how effectively Manning can operate within Gary Kubiak's system. Will he resemble the signal caller who produced 34 touchdowns, averaged 323 YPG, and tossed only nine interceptions in his first 11 contests last season? Or the struggling quarterback who manufactured only five touchdowns, threw six interceptions, and averaged only 234 YPG in his last five games? The belief here is the former, even though he will face a Raven unit that will know the intricacies of Kubiak’s system extremely well. In 2014, Brees didn't perform with the same level of precision that we have become accustomed to. Plus, he failed to throw for 5,000 yards for the first time since 2010. Yet, he didn't exactly have a horrible year. His 4,952 yards tied for the NFL lead, and represents the fifth highest total of his career. While Jimmy Graham, Kenny Stills, and Pierre Thomas have departed, he still has an adequate number of capable weapons. Beginning with Brandin Cooks, who could collect 100 offerings from Brees this year. However, this is not a favorable matchup, which temporarily drops him down the rankings. Once he finally was allotted a sizable number of snaps, he appeared more than capable of distributing the ball to his cluster or weapons, and managing Chip Kelly’s relentless attack with great proficiency. The Bradford era should begin with an impressive assemblage of fantasy points, versus an overmatched Falcon defense. Tannehill begins his second season in OC Bill Lazor's offense with a new contract, a fortified group of weapons, and should deliver a very productive outing versus Washington. While the Redskins will present an improved front seven following offseason renovations, not nearly enough was done to strengthen a secondary that yielded an NFL worst 35 touchdown passes in 2014. If you seized Ryan with a mid-round pick, he should reward you with respectable output this season, even though he will not possess the same number of potent weapons as many of his peers. Fortunately, new OC Kyle Shanahan will maximize the talent that is available in his strategic approach. The first installment of Atlanta's new offense comes against an Eagle unit that has been restructured after allowing 30 touchdowns through the air in 2014. With a full year under OC Ben McAdoo's system, and the potential to have Odell Beckham available for the entire year, Eli appears primed to build upon his very successful 2014 season. He finished sixth with 4,410 yards, and ninth with 30 touchdowns, while generating six touchdowns and 586 yards in two matchups with the Cowboys. Similar numbers are certainly attainable this season, and a fast start to his 2015 fantasy point collection appears forthcoming. 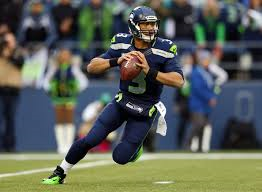 He was a top five fantasy QB despite finishing 15th in passing yards and 16th in touchdowns. His production will rise in both categories with Jimmy Graham as his primary target, although the newly formed duo must contend with the Rams’ ferocious front seven in their first game together. Wilson assembled 419 yards and three touchdowns when they met in Week 6 last season, but managed just 239 yards and one score when they met in Week 17. Expect only modest numbers when they line up this week. After being perceived as elite by many within the fantasy community from 2011-2013, Stafford begins his seventh season without the firm hold on QB1 status that we have become familiar with. Owners are hoping that he will reverse a trend of declining yardage in four consecutive seasons. His first opportunity to do so takes place against last year’s fourth ranked pass defense, which contains one of the league’s most talented secondaries. Yes, the absence of Jordy Nelson does negatively impact Rodgers. But there is no need to overreact. Particularly when Rodgers is the recipient of an appealing matchup. Last season, he produced at least three touchdowns in eight different contests, including both encounters with the Bears. Not only did he dissect Chicago for the aforementioned collection of touchdowns, but he also amassed 617 yards. That was consistent with the Bears' hospitality toward opposing quarterbacks in 2014, as the NFL's 30th ranked pass defenders surrendered a whopping 34 scores through the air. Chicago also yielded the second most fantasy points, and they demonstrated nothing during the preseason that would suggest a measurable improvement is coming. The overturned suspension occurred just in time for Brady to continue a high level of success against Pittsburgh. Brady has launched 18 touchdowns, and thrown just three interceptions in seven career matchups against the Steelers, and should reward owners who selected him when he takes the field against them on Thursday. Only three teams surrendered more touchdowns through the air than the whopping 30 that Pittsburgh yielded in 2014. Plus, they permitted 253 YPG, while finishing 26th overall with 33 sacks. This unit also struggled sizably during the preseason, and Brady should expose their shortcomings consistently throughout this contest. Tannehill's first matchup with his enhanced collection of receiving options will occur versus a defensive unit that not only struggled to keep opponents from generating touchdowns through the air last season, but also pilfered a mere seven interceptions in the process. Washington now has a new coordinator (Joe Barry), and has bolstered its pass rush. However, the reshuffled secondary remains vulnerable, and Tannehill has a sufficient number of weapons at his disposal to exploit their inadequacies. Atlanta allowed more yards through the air than any other defense in 2014, and their anemic pass rush only managed 22 sacks. New HC Dan Quinn will eventually install a more aggressive approach, but that will not help them in this contest. Even if the Falcons receive inspiration from the home crowd during their prime time opener, the speed and unremitting nature of Philadelphia's offense will diffuse that potential advantage. Allowing Bradford to have a productive debut as an Eagle. Easily one of the most entertaining Week 1 matchups will occur when Luck leads last season's top ranked passing offense into Buffalo, to face 2014's third best pass defense. The Bills also led the league in sacks, were third in takeaways, and fourth in both yardage and points allowed. While the Colts’ passing attack will steamroll most opposing defensive units throughout the year, yardage and touchdowns will not be accrued quite as effortlessly during this contest. 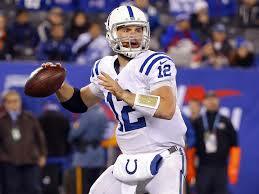 Luck and his upgraded cluster of weaponry will face a daunting, opening day challenge. Owners should remain patient until Week 2, while avoiding the expectation of his usual output on Sunday. Of course, Wilson owners should have him firmly cemented in their lineups. However, he will not begin his season with a favorable matchup. While St. Louis ranked a deceptive 17th in total defense in 2014, that does not indicate how dramatically the unit improved during the final half of 2014. The two encounters between these NFC West rival underscores their development, as Wilson generated 173 fewer yards in his Week 17 matchup, than he did when he faced the Rams in Week 7, and scored three less touchdowns. The Rams appear fully capable of developing into a top five unit this year, and will provide an imposing presence during Wilson's opener. You won’t hear the Chargers mentioned among the NFL’s most feared defensive units. But this will not be a comfortable matchup for Stafford. San Diego’s secondary has the potential to be very effective, providing that they can maintain their collective health. Pro Bowlers Brandon Flowers and Eric Weddle, will align with the underrated Jason Verrett, to form a formidable presence. That will create a mammoth challenge for Stafford when he attempts to connect with his primary receiving weapons. This is not a suggestion that Stafford will be completely stifled when attempting to locate Calvin Johnson and Golden Tate. But this will not be one of his most prolific games.